If you find yourself getting an itch to overhaul your home, but don't have the time or cash to make any major changes, opt to swap out your old drawer and door hardware for something a little snazzier. 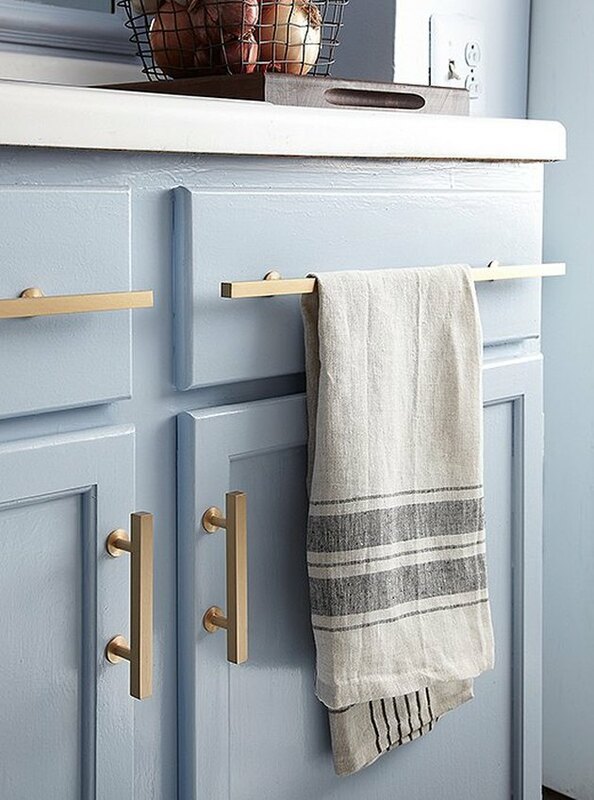 New drawer pulls can instantly transform that trusty wardrobe you've had for a decade, and some clever door knobs can seriously reinvent older kitchen cabinets. 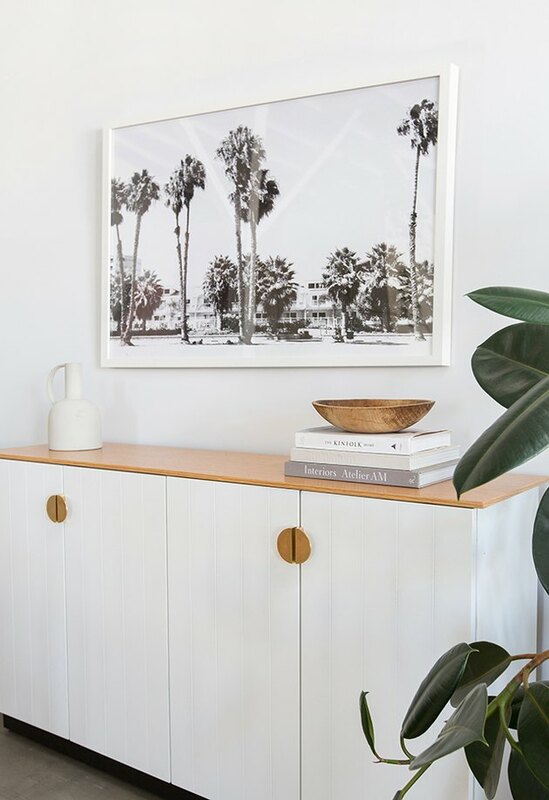 But before you run out to the hardware store, check out these 13 chic hardware ideas that will give your home the makeover you've been craving. 1. Copper is instantly cool. 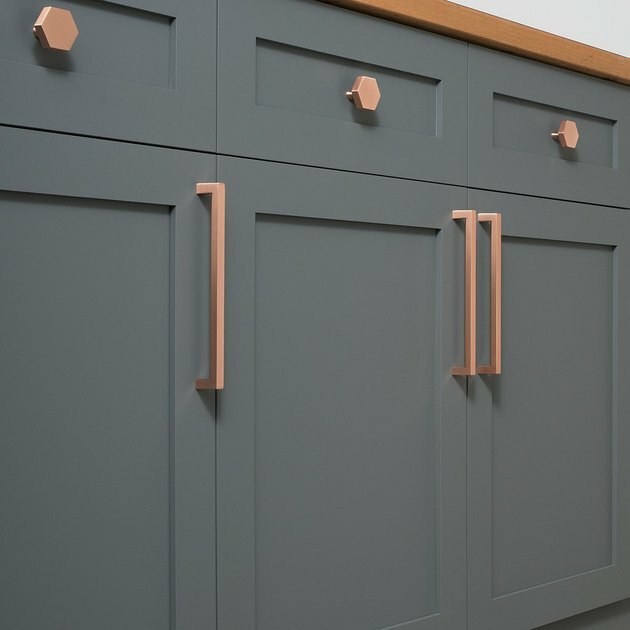 Give your kitchen cabinets the glam treatment by switching out your current drawer hardware for copper. You can find these rose-hued knobs and pulls at Schoolhouse Electric, or you can challenge yourself to make your own with this fun DIY project. 2. Minimal hardware can refresh a basic piece of furniture. Get rid of those bulky drawer pulls in favor of something sleek and minimal. 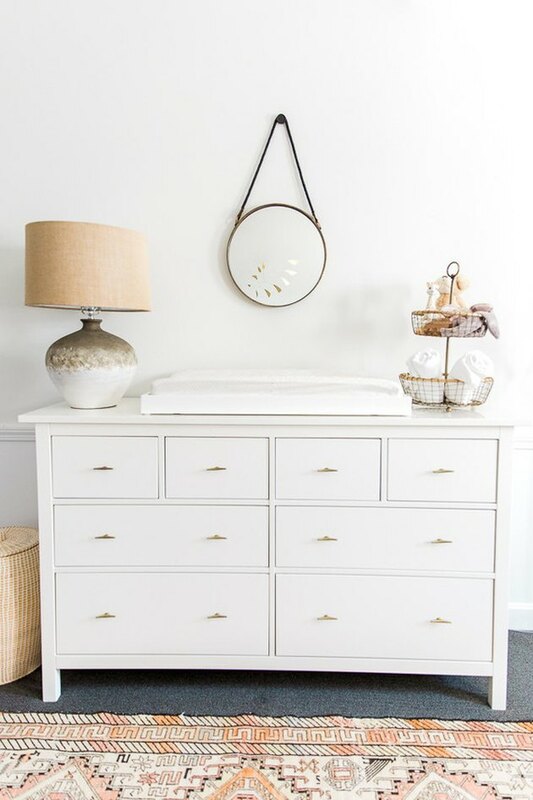 This basic wardrobe got an elegant makeover with the addition of petite gold hardware — a perfect match for this sweet nursery. 3. Add DIY leather pulls for a rustic and modern twist. 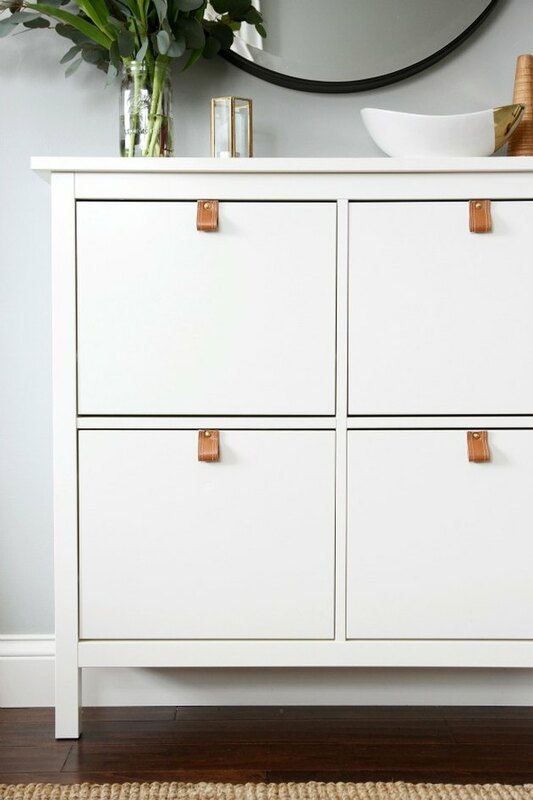 Thanks to Dana from the blog House Tweaking, this Ikea Hemnes dresser received an updated new look. She created her own faux leather drawer pulls by cutting a belt into small strips, and attaching them to the top of the drawers. Get all of the details here. 4. Don't forget about the front door. The hardware on the outside of your home is just as important as the knobs and pulls on the inside. Consider giving your front door a whole new look by opting for a modern door pull instead of a traditional knob. 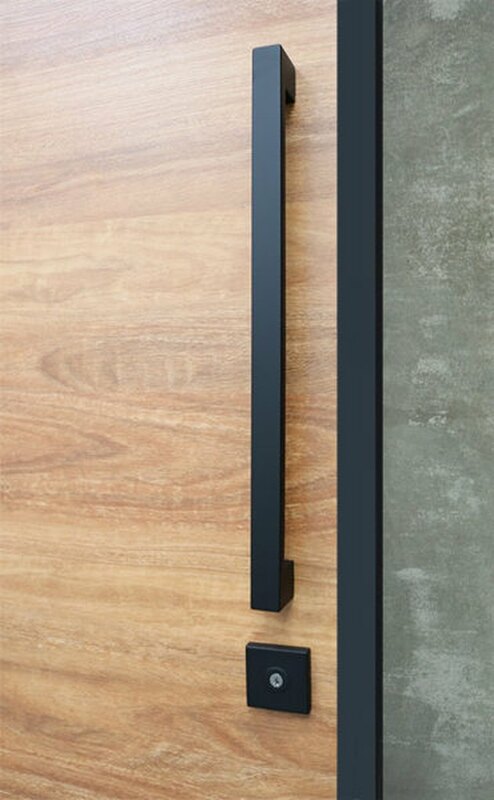 This matte-black, long entry pull from The Lock and Handle is a striking option. 5. 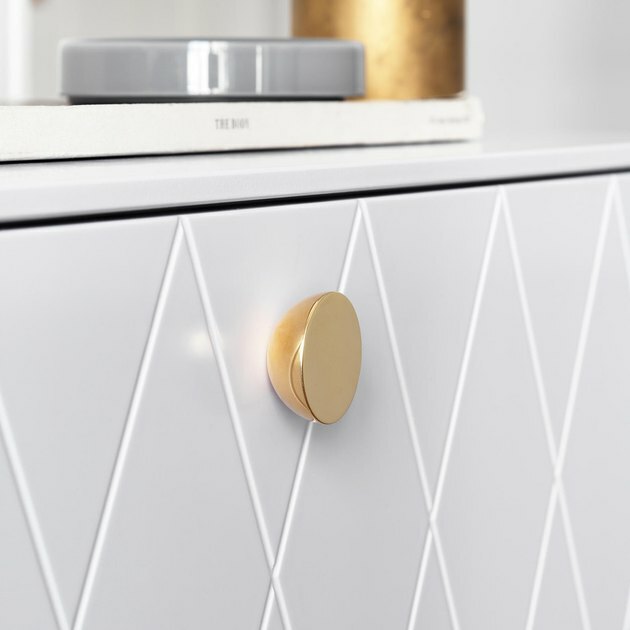 Hemishere knobs are oh-so-chic. 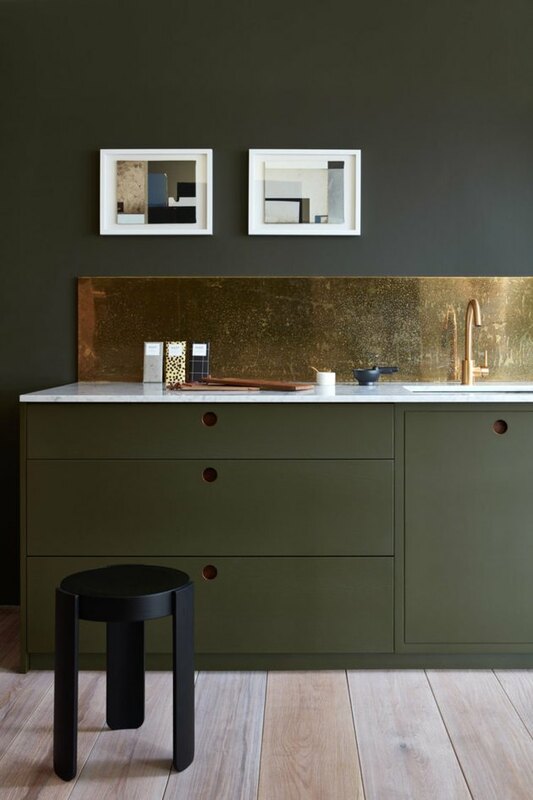 This brass drawer pull from Superfront is super stylish and will easily make your home one of the coolest on the block. 6. Make these "marble" knobs at home. Most "faux marble" hacks involve contact paper, but this one involves creating your own drawer pulls from scratch using white and gray clay that you mold yourself. 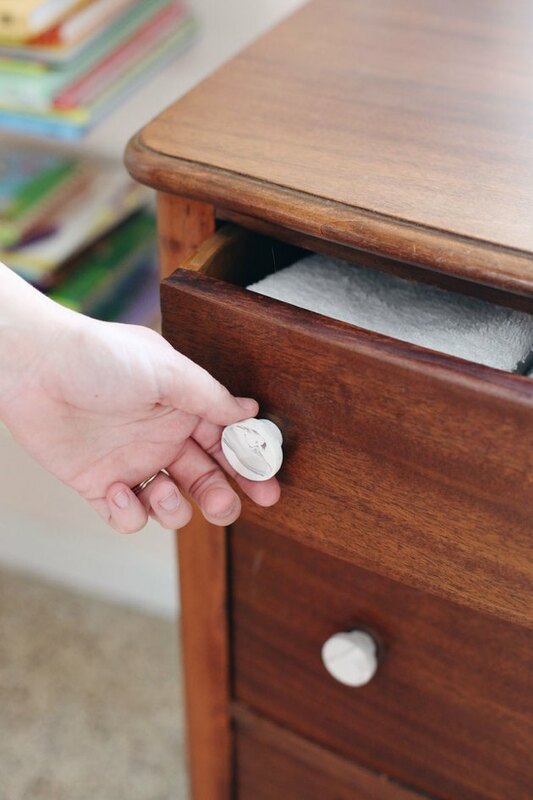 If you love DIY projects and baking, then this drawer knob DIY is for you. 7. A bar handle transforms a kitchen. 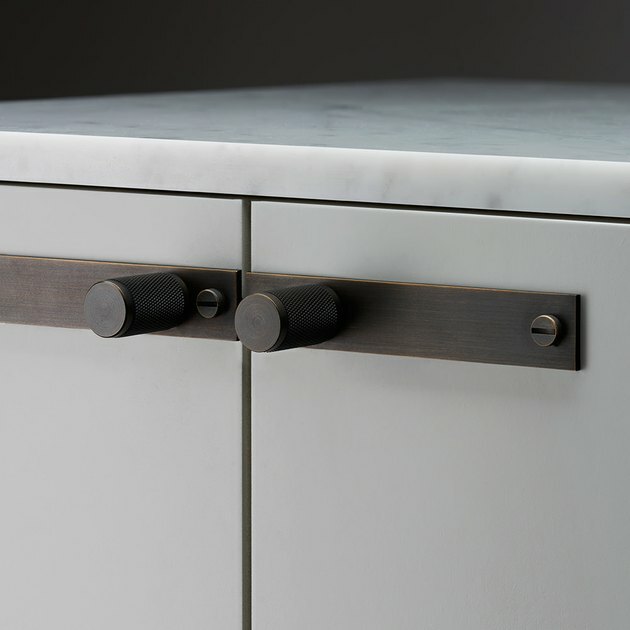 These handsome long bar-style pulls might be exactly what your kitchen needs. 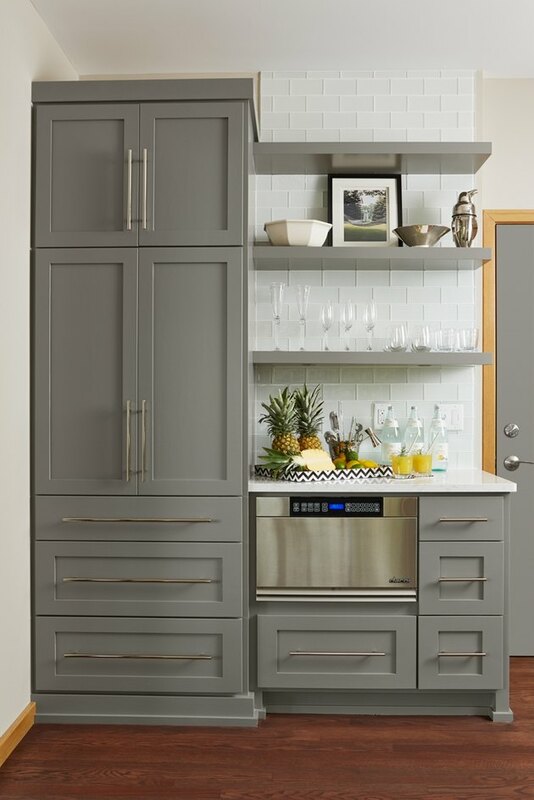 Modern stainless steel drawer and door hardware will spruce up your den of culinary greatness just in time for that dinner party you've been planning. 8. Fresh hardware will give new life to your vanity. 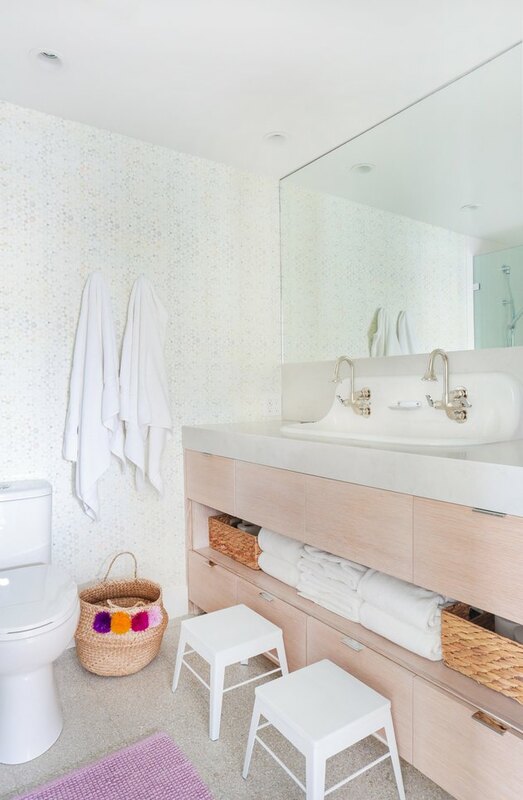 We love the clean and minimal drawer pulls that Amber Interiors selected for this bathroom vanity. It's hardware like this that elicits a hotel-like ambiance, making you feel like you are on staycation every day. 9. Add knobs where there were none. There is a whole sub-section of the internet dedicated to Ikea hacks, and we just adore every single one of them. 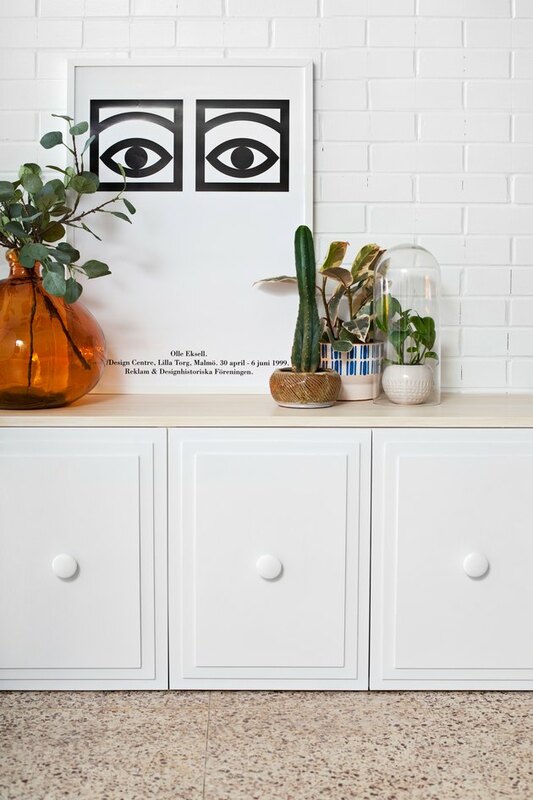 Including this sweet little DIY project by the lovely ladies at A Beautiful Mess, who added simple circular knobs to an Ikea Sektion cabinet. Sarah Sherman Samuel and Semihandmade are the answer to your cabinet's design prayers. Their collab features an elegant collection of cabinet doors and coordinating hardware like these luxe half moon-shaped door pulls — they're a midcentury modern home's dream. 11. Ditch the hardware altogether. Update your drawer hardware by not having any. This ultra-modern kitchen relies on circular cutouts to open cabinet drawers and doors. While this isn't as simple as unscrewing and inserting a new knob, it's a unique design choice to consider. 12. Update old knobs from basic to swanky. Time to celebrate. For less than twenty bucks, you can modernize that dresser you've had since college. 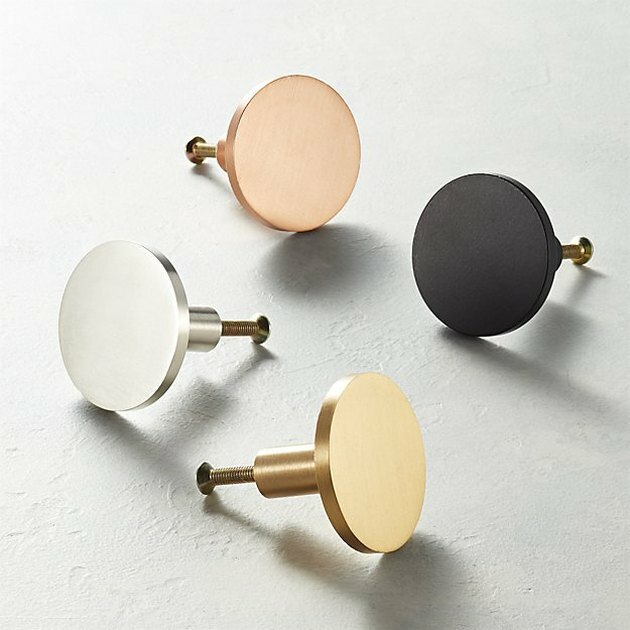 These minimal, flat circle knobs by CB2 are less than $5 a pop. 13. ...or go for a more industrial look. Swap out the original hardware on your cabinetry in favor of something a little more industrial. This smoked bronze door pull from Buster + Punch is a little pricier but the finished look is so worth it. 14. Dazzle and delight with natural stone. You might be thinking, "Ooo what pretty jewelry!" But these little gems are meant for your cabinets, not your ears. 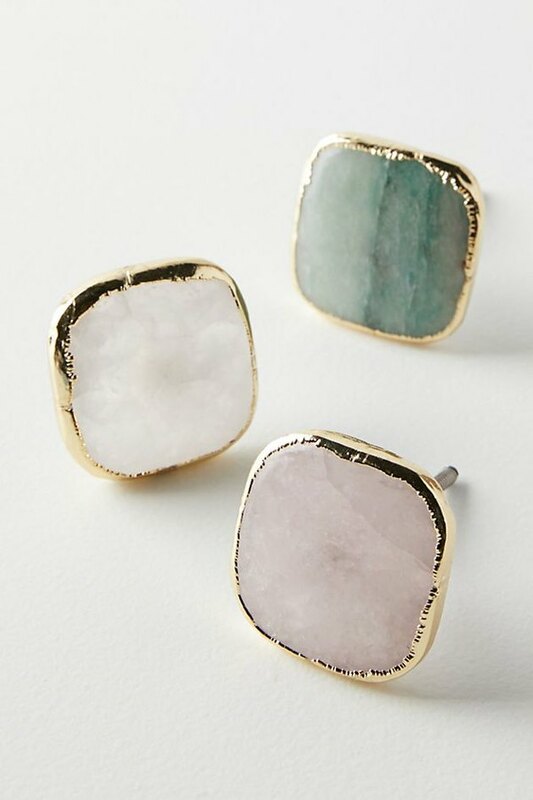 Dress up your makeup vanity with these striking knobs from Anthropologie.